Copyright 2006 Donovan Baldwin My daughter is sick of her present job and is looking for a new one. She's not the only one. Thousands of companies are looking for her, and thousands like her are looking for the company that, hopefully, will hire them. Unfortunately, even if the twain shall meet, odds are she will not be satisfied with them or with the life path they have helped provide for her. Even if she finds something like the "perfect" job, she will often wish that she had done something else with her life. She will wonder what it is like to work when she wants to work, and take a vacation when she wants a vacation, and if there is some way she could make a good income for the rest of her life without punching a time clock, answering to a boss who she has little or no respect for, or having to plan her life around the whims and vagaries of a business and organization which has little interest in her dreams, hopes, or future. Most of all, she will wish that she had control over her alarm clock. Now, don't get me wrong. This is not a pie-in-the-sky article about instant success, making tons of money, and never having stress in your life again. In fact, even if you are successful with some home business opportunity, you will possibly have all kinds of stress, may just make enough to get by, and it may take months or even years to reach a point where you consider yourself successful. Even so, every day, a large number of people leave the security and benefits of their nine-to-five job and take a swing at some home business opportunity they read about, saw an ad for on TV, or ran across on the internet. Many will fail, but some will make it big, or at least big enough, and will be happy they made the choice. They will not only find an income source far from factory, sales floor, distribution center, or office, but they will move out from under someone else's thumb, and may actually be able to ignore the demands of the clock and calendar for the first time since their very early childhood. Actually, let's not belittle the humble "job". If you aren't at the top of the home business heap, or if you haven't even started the climb yet, you need that job to keep food in your stomach, a roof over your head, and your spouse or significant other from slamming the door on their way out.not to mention your car from being repossessed and other fun things. That job may just provide the health benefits you need, or the network you need to start your home business. Starting any new business can be a gamble. Even changing jobs can create a major disturbance in the force, glitch in the matrix, etc. Holding on to that job is a smart move to make, and that is the great thing about a valid home business opportunity. You can start a home business literally in your spare time. You can hang on to the job in the meantime and provide a security blanket for yourself and your family while getting your business off the ground. Having begun your new home business, you will eventually arrive at the point where you join the millions of others who enjoy the benefits from working from home and being their own bosses. However, when new entrepreneurs fail, it is often as a result of some of the simplest of reasons. When we talk about new businesses failing, we don't just have to discuss the home business opportunity, as the reasons brick and mortar businesses are the same. Some of these reasons for failure are: *Lack of experience - Many people choose to begin a business because they want to make a lot of money, be important, or just not have to work any more. Knowing something about a subject you consider to be important, liking it, and wanting to share that information with other people is a very important factor in the future success of a business. *Poor business location - When you think of a home business, especially an internet business, it may not seem like "location" is much of a factor, but a business location is more than just the building the business is located in. Where, when, and how you advertise or promote your business is just one example of location as a factor in the success of a home business. *Not putting in the hours - Many businesses of all kinds fail because the person who started it in the hopes of not having to work the way they have in the past, or simply did not realize how much "work" would be involved in running a successful business, much less getting one off the ground. In the world of home and internet business opportunities, it is unfortunate but true that many people are lured into the opportunity by the implied or stated promise of large income for little work. *Poor financing - Many people do not realize how much money they will need to start most new businesses. 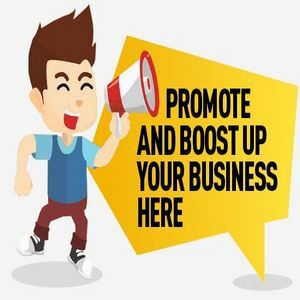 While a home based business may not require as much money as some franchises or other businesses, very often an important factor in success is advertising or promotion. Often there are supplies that are needed, fees that occur for various reasons, and other expenses. New businesses don't always take off like a rocket, and it often takes a large amount of money to get the business off the ground. The internet and today's technology has opened new pathways to success for those who used to be restricted to mail order or door-to-door businesses. Businesses which once would have been impossible are now open to the general public. Anyone with a computer can work anywhere, any time because of the nearly universal phenomenon of internet access. In addition to having their own businesses, many are finding a new income source as online affiliates for other businesses, as bloggers, and with programs such as Google's Adsense. There are many benefits of having your own work from home business, and we have touched on a few and some possible pitfalls as well. A home business can be liberating, but it can chain you to a new set of obligations as well. You can be your own boss, or your own worst employee. You can set your own schedule but find that you need more hours than there really were in the day. You can experience the rewards of being the decision maker and facing challenges, or you can find yourself stressed to the max. Starting a home business can be a great step on a long exciting pathway, but start the trip only after careful consideration.